G Suite Productivity Tools reviews by real, verified users. Find unbiased ratings on user satisfaction, features, and price based on the most reviews available anywhere. Colaboratory for G Suite is a data analysis tool that combines code, output, and descriptive text into one collaborative document. The Trello Add-On for Gmail is designed to allow users to keep their boards and inbox connected for maximum productivity. Kami tools enables you to annotate, markup, and collaborate on your PDF, document, or image files. Smartsheet for G Suite allows users to add emails and attachments to new or existing rows in Smartsheet without leaving Gmail. Sejda PDF Editor for G Suite allows you to edit PDF documents, adding text, images, editing existing text, whiteout tool, annotate with highlight and strike-through, draw shapes. PDF Merge and Split for G Suite app allows you to merge, split, remove, and rotate PDFs for free. Jira Sheet Tools for G Suite Add-On allows to connect to your Jira instance.This versions allows you to have any Jira Ticket ID in your sheet display the individual ticket status with a single click in the Add-On's menu. WriteWell for Google Docs for G Suite is a Google Docs add-on that jumpstarts your writing project by choosing from our vast template library for professionals, college and K-12. Get outlines, tips, samples and smart phrases to guide you through the writing process. 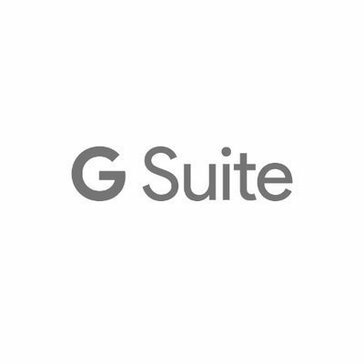 Link Manager for Google Drive for G Suite allows for native sharing of files from Google Drive offers opening native Google documents or preview mode for other types of files. The Twitter Curator add-on for Google Docs helps you search, filter and curate tweets right inside your Google documents. The Google Docs Creator add-on from apps experts features a document merge function for Google Docs. Litera Change-Pro Document Comparison for G Suite allows users to compare documents from their Google Drive/Docs. MeisterTask for Gmail is designed to help users turn emails into tasks and insert them in projects and sections. PieSync syncs contacts between cloud apps (Pipedrive, MS Dynamics, SugarCRM, Highrise, Zoho, BaseCRM, Insightly, Conctactually, HubSpot, ActiveCampaign, Salesforce, SalesforceIQ, ProsperWorks, MailChimp, InfusionSoft, etc.) 2-way and in real-time. Powertools for Google Drive is a business-focused document management system software that help companies develop dedicated team and project workspaces directly within Google Drive, add structure to workspaces for improved document organization, management and retrievability and create, customize and brand content portals that sync to select workspaces in Google Drive. The Google Slides Creator add-on from apps experts features a presentation merge function for Google Slides. Text to Todoist for G Suite adds a sidebar to Docs designed to let users create tasks in a Todoist project. Hi there! Can I help you find the best G Suite Productivity Tools solutions?